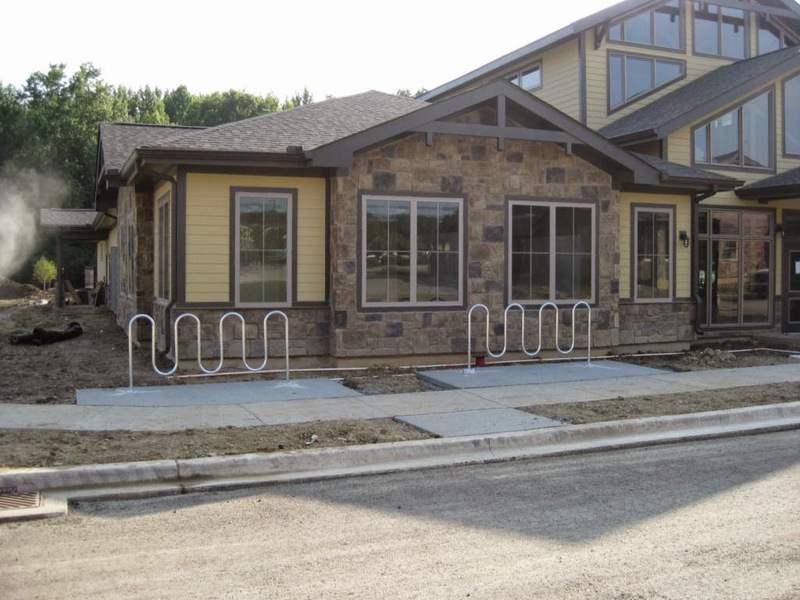 After several months of construction, hundreds of residents can finally call The Retreat home sweet home now that they officially moved their belongings in on Monday. 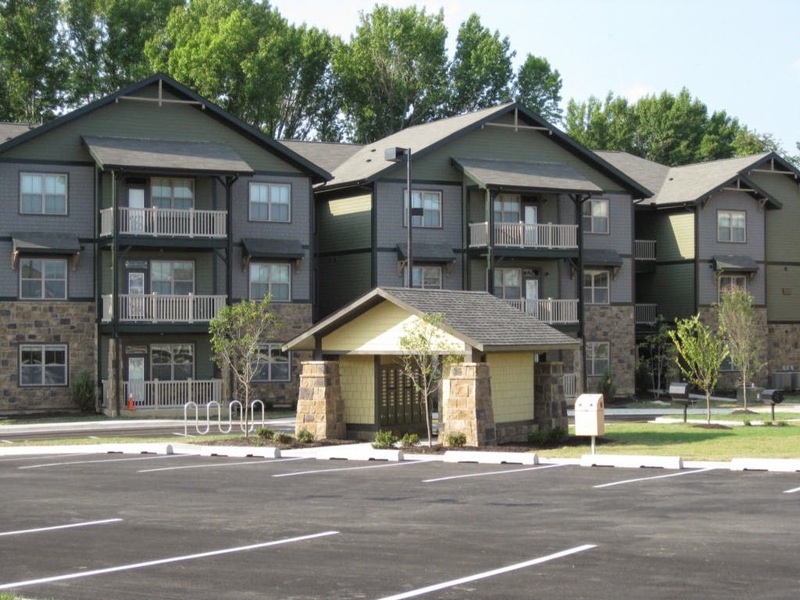 The complex, owned by Georgia-based Landmark Properties, which manages several student housing communities around the country, opened at Suburban Plaza off Elkton Road and flanks both sides of the shopping center with its 169 newly constructed units that include 39 two-story cottages and 130 lodge-style apartments for a total of 597 beds. Mark Morehead appears to be the only member of City Council who gets it. Yes, Suburban Plaza is immediately adjacent and (hopefully) most will walk or bike the hundred or so yards to shop and dine. 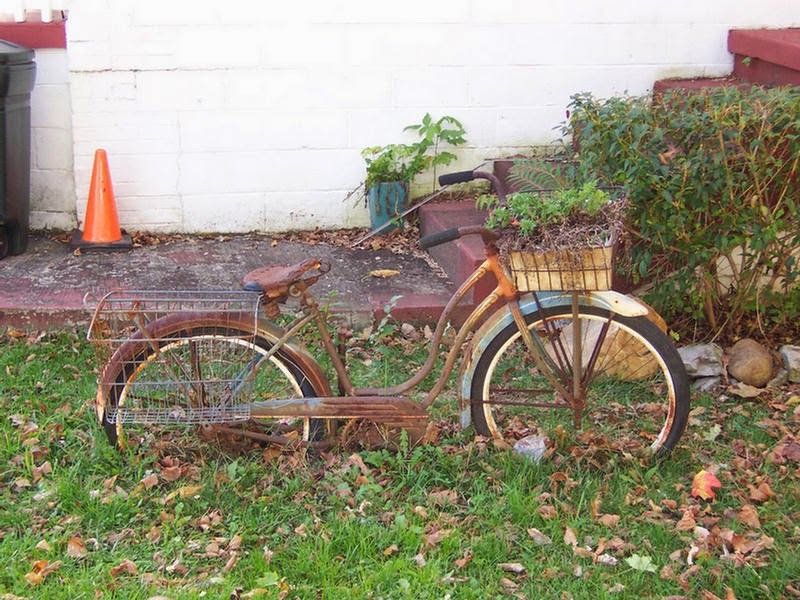 But for commuting to Newark's downtown and University of Delaware campus, the "Retreat" is a casualty waiting to happen. 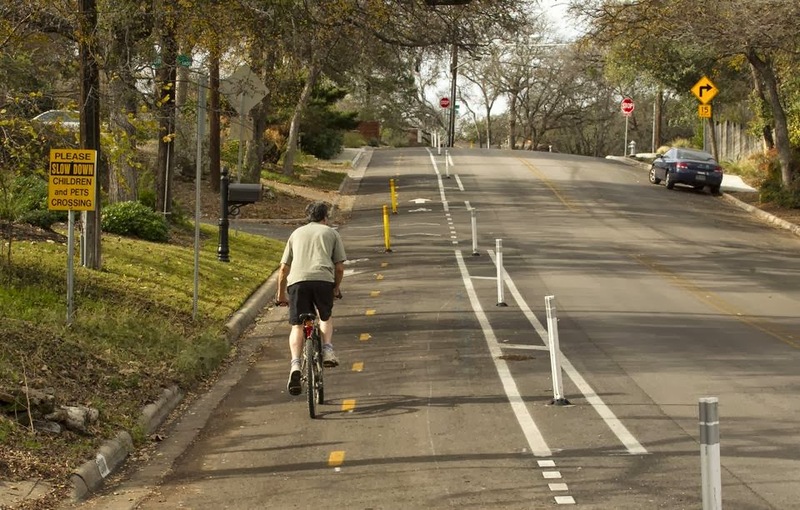 No attempt was made to address the needs of bicycle commuters in planning and construction. 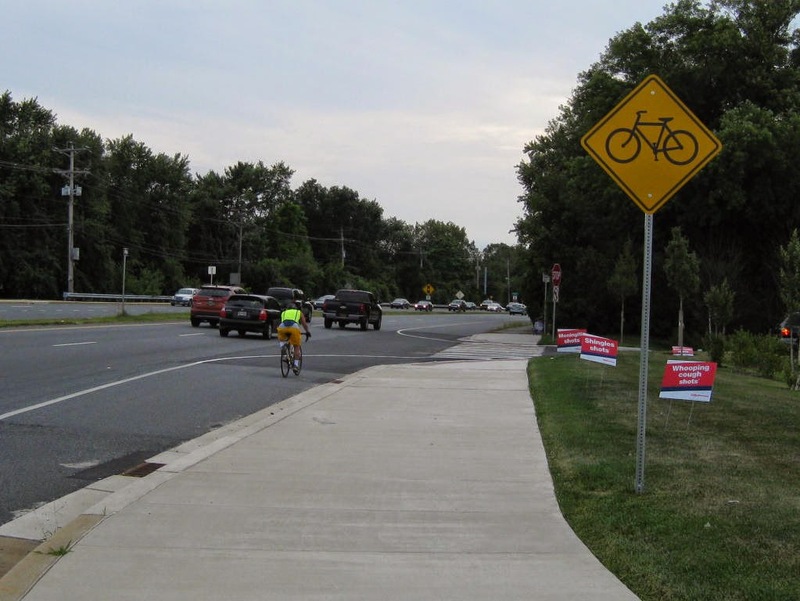 Residents who still choose (or must) bike into town will need to pedal up a dangerous sidewalk on Elkton Road (technically illegal) to Casho Mill and cross to the frontage road on the opposite side. 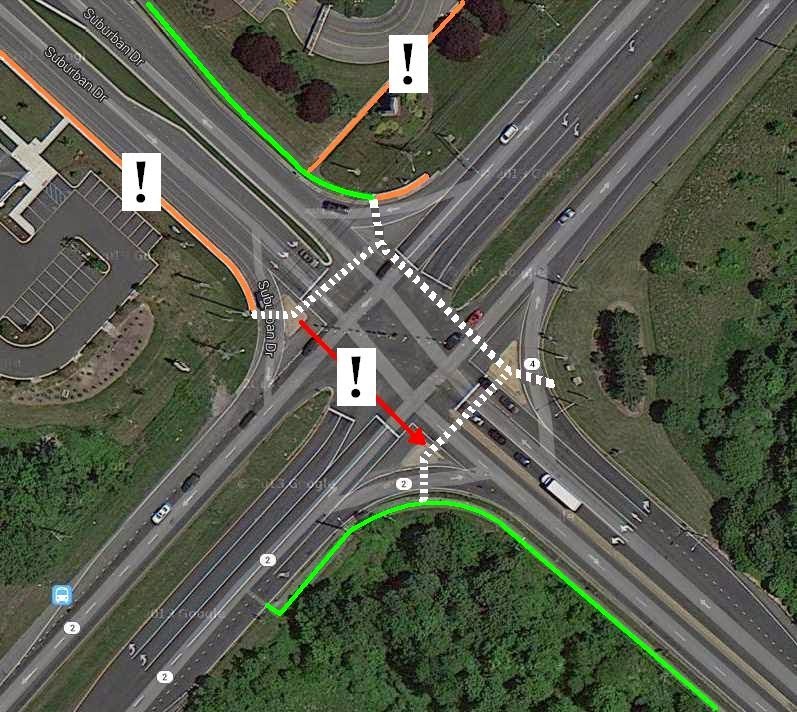 Those wishing to use the Christina Parkway bike path facility (or wishing to legally ride the shoulder on Elkton Road in the NE direction) will be crossing a very dangerous intersection with no crosswalks until Spring of 2015. 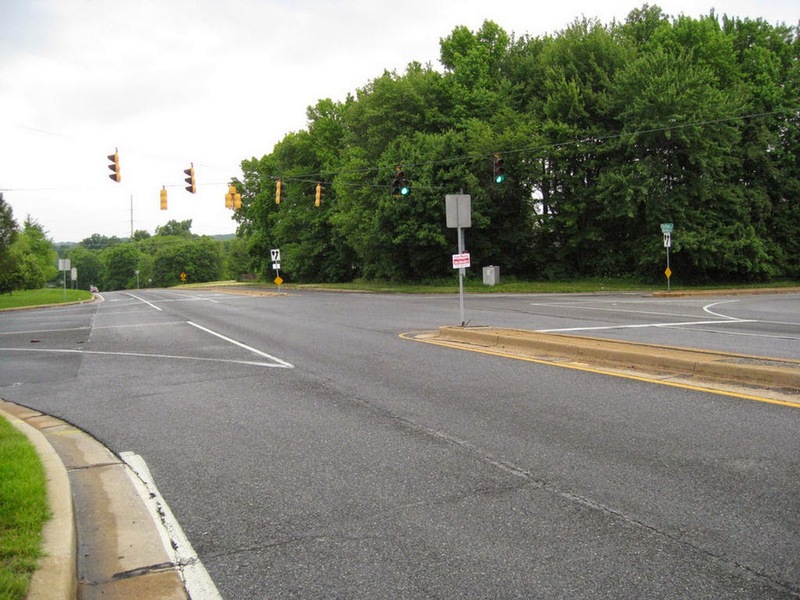 And even then, only one is planned across Elkton Road on the NE side, which will tempt potential pathway users to cross on the non-crosswalk (SW) side rather than wait through 2 or 3 signal phase changes. Such poor planning sends a clear message to students and residents - 400+ of them - that they should take their cars to the downtown and campus, where parking and congestion is already intolerable. 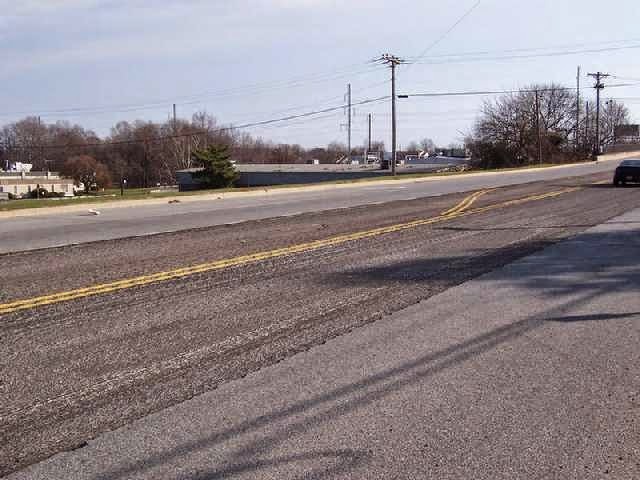 It is an epic fail that Newark did not require the developer to provide safe bicycling connections to the Elkton Road bike lanes and the Christina Parkway bike path. This should have been developer funded with an implementation timeline to coincide with the completion of the project. 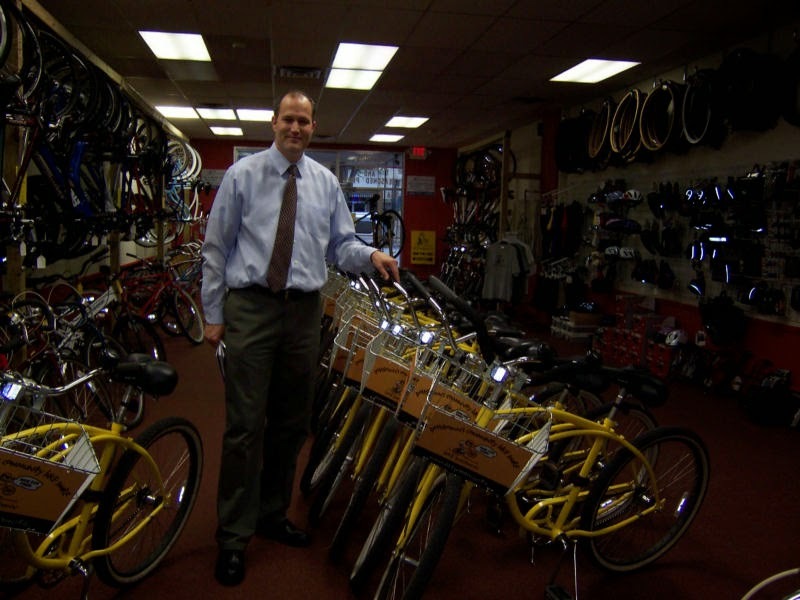 Shame on the Newark Post, for not even mentioning bicycling as a viable means of transportation throughout the entire article above! Even the bicycle racks shown here are out of compliance with Newark's parking code. 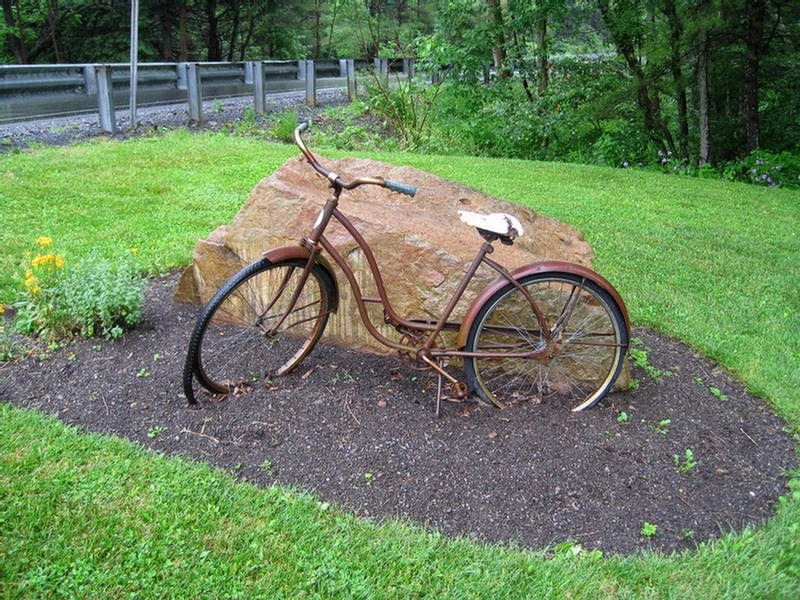 "Wave" or "Ribbon" racks provide little frame support to locked bicycles, causing them to fall on to each other - sometimes in a pile. They were also phased out by the University of Delaware, and replaced with the more stable "Inverted U" design. So what are they doing here? This is what students have to look forward to when leaving "The Retreat" on the road. A lone bike lane hugs the far right curb, to the right of the right turn-only lane - a huge no no in any bike lane design. There isn't even a break, or dashes in the white line to suggest that bicyclists can move out and take the appropriate lane. Also note the bicyclist in the distance, riding through the intersection on Elkton Road. 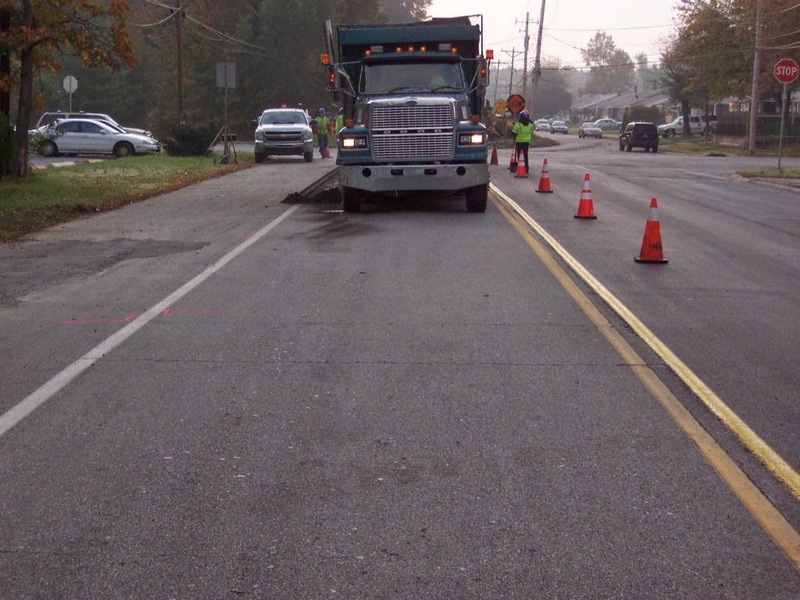 The corridor is a high volume bicycle commuter route, and we are advocating that correctly designed bike lanes also be included with the next resurfacing (pave & rehab) project due in about a year. In the map above, bicyclists wishing to exit "The Retreat" to the north and west of this intersection will find themselves dealing with an array of pedestrian facilities and a curb-hugging bike lane that does nothing to help them navigate through the intersection.. The 3 sides of crosswalk are not scheduled until Spring 2015 - well after Retreat residents are moved in. Legend: Orange: Sidewalks, which are technically illegal (and dangerous) to ride on . Green: Existing parallel bike path facilities. Red: non-crosswalk side and direct connection to Christina Parkway bike path. 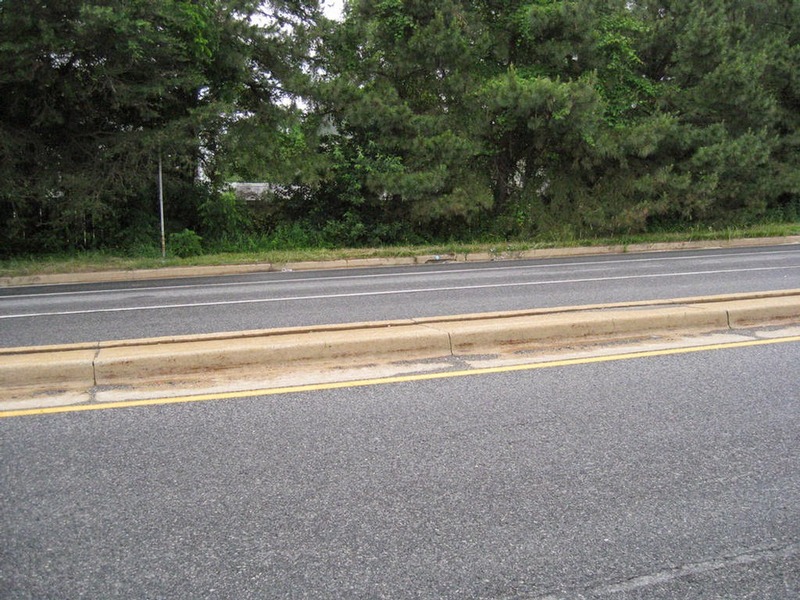 The long abandoned Christina Parkway parallel bike path is an advertisement for abandoning Bike Delaware's bike path fetish, given zero funding for even basic cleanup and maintenance. Yet some folks can still be seen walking and biking on this facility. And this can be expected to increase substantially, with the completion of "The Retreat" and ongoing development of the STAR Campus - both of which are excellent connections to this path. Above: Elkton Road, on the approach to the intersection of Christina Parkway from the SW. The curb cut marking the start of the bike path is seen on the right, well before the intersection. One block further back is the entrance to the Newark Charter School, all but ruling it out for kids riding their bikes to school. 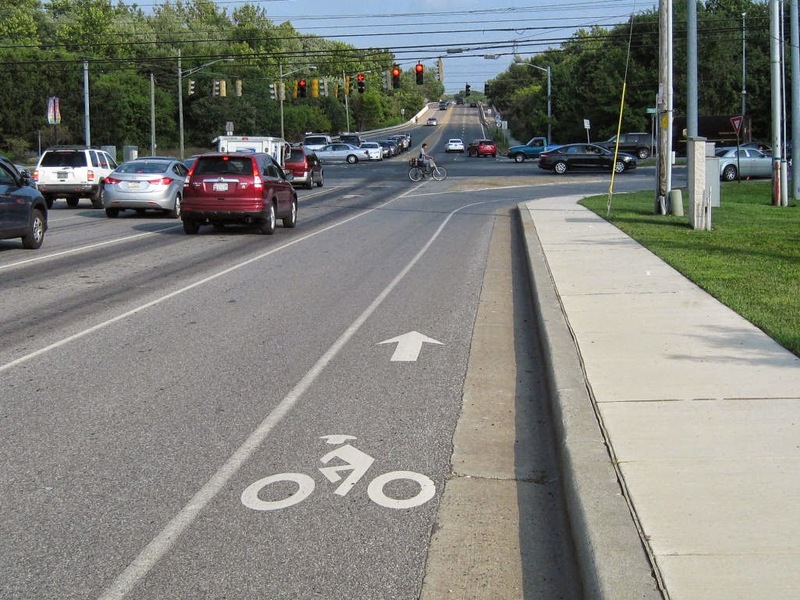 Bike lanes are desperately needed on Elkton Road now, especially through here, given the long timeline of the project extending to the Maryland line. Bike lane symbols used to exist on Elkton Road many years ago, but were largely left out during the last surface repaving. The video does not say where it is from. These are the 10 most dangerous states for pedestrians. Poster's note: The last thing in the world any State wants is the #1 spot on this list. Delaware, however, is at a disadvantage in this survey, as our numbers can fluctuate wildly given a relatively low population. Regardless of this horrible statistic, we still give kudos to DelDOT for actively assessing major corridors for pedestrian safety, and installing crosswalks (and bike lanes) at known dangerous intersections. Sadly, even with these improvements, many such roads still lack safe infrastructure for the non-motorized. 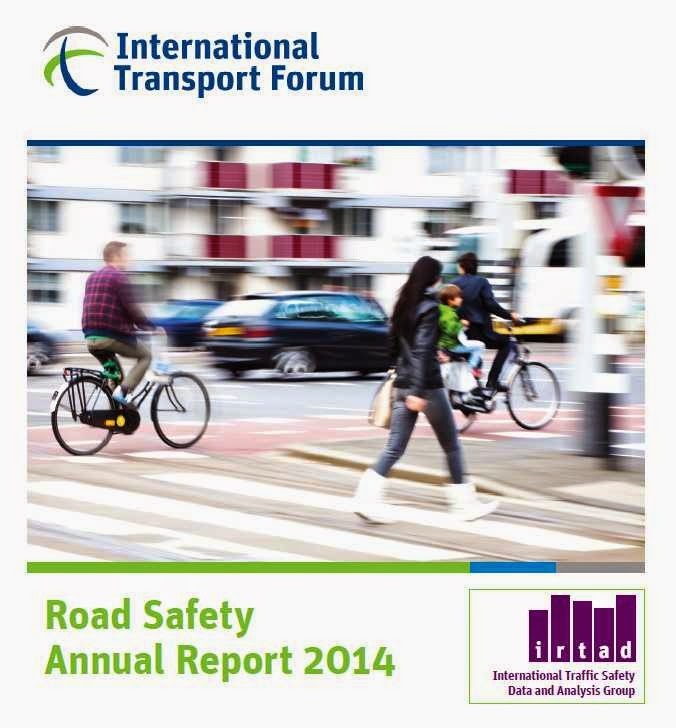 A largely forgotten issue includes driver education and enforcement. Where we have crosswalks, drivers routinely ignore them, and blow through them even when pedestrians are present or waiting to cross. 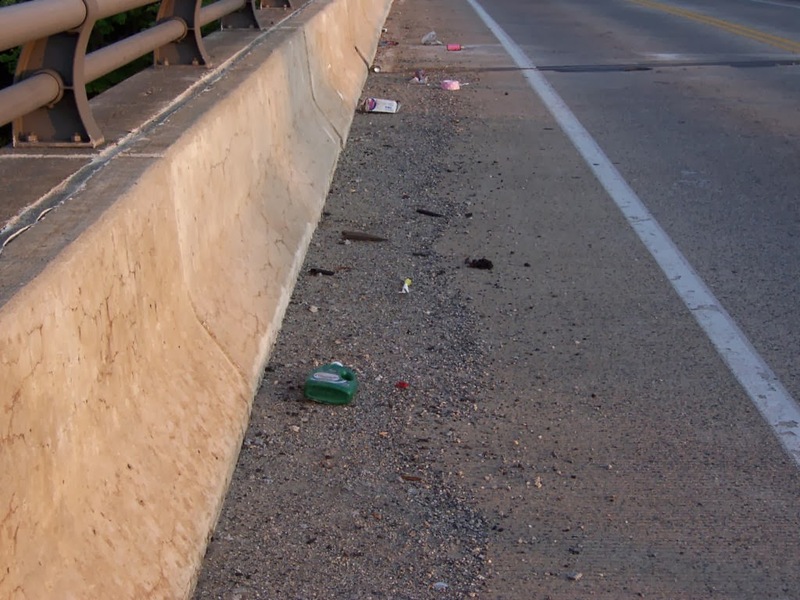 Delaware carries virtually no penalty for these potentially deadly actions, and enforcement is rare, if at all. Above: It's as though users of the Pomeroy Trail in Newark don't even exist at the crossing of Wyoming Avenue. Here, we see a bicyclist that is clearly visible and waiting to cross the road in a wide zebra striped crosswalk, yet motorists continue through despite having more than adequate time to stop. 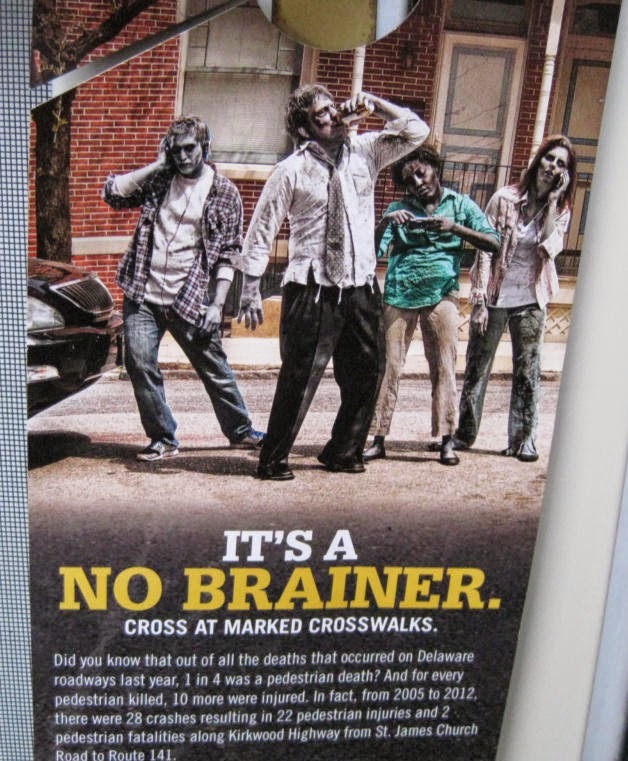 The "Don't Join the Walking Dead" campaign should also focus on driver education and enforcement, and include hefty fines for crosswalk incursions that are commensurate with other states that score far better in pedestrian safety. 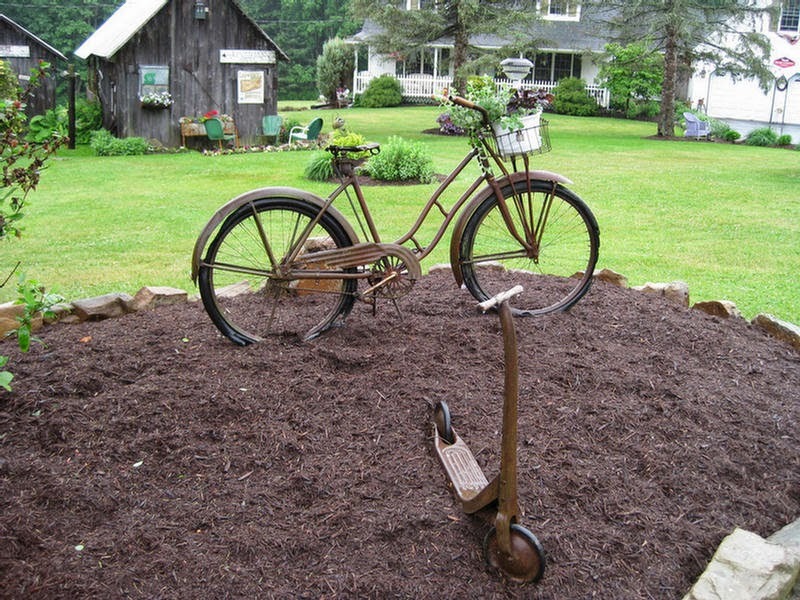 In progressive States like Massachusetts, it is an entirely different story. 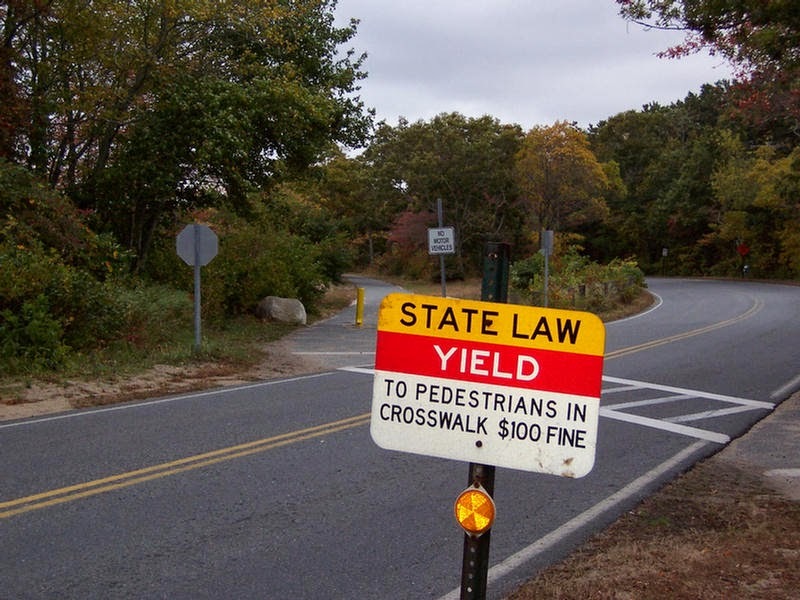 Motorists rarely fail to stop (never mind yield), even as a pedestrian approaches a crosswalk. 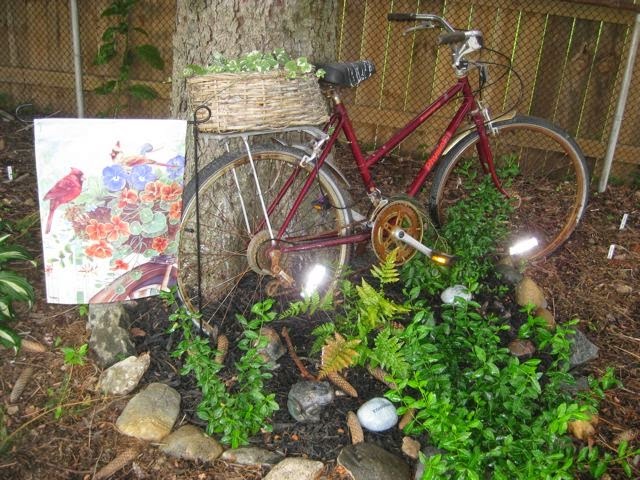 Better enforcement and fines of up to $200 go a long way toward increased safety and respect of trail and pathway users. 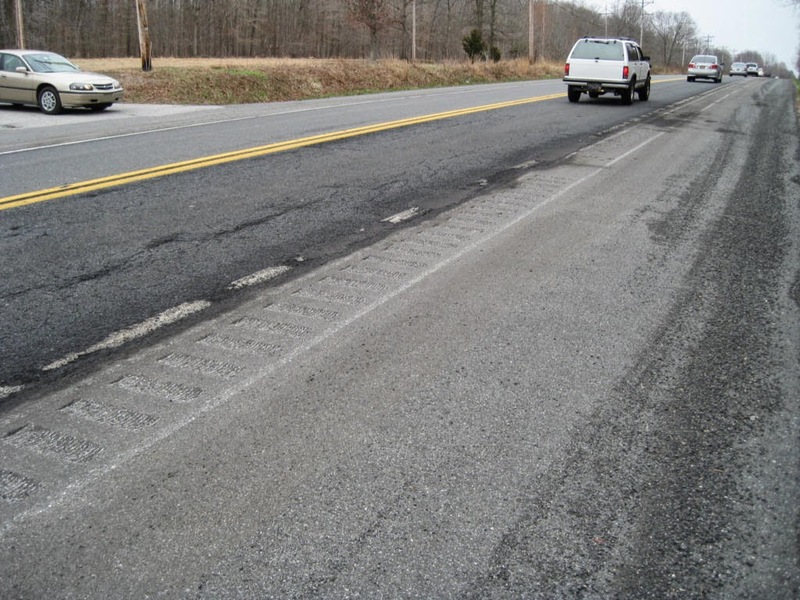 This, in turn, results in fewer injuries and fatalities, and promotes a culture of awareness and responsibility. 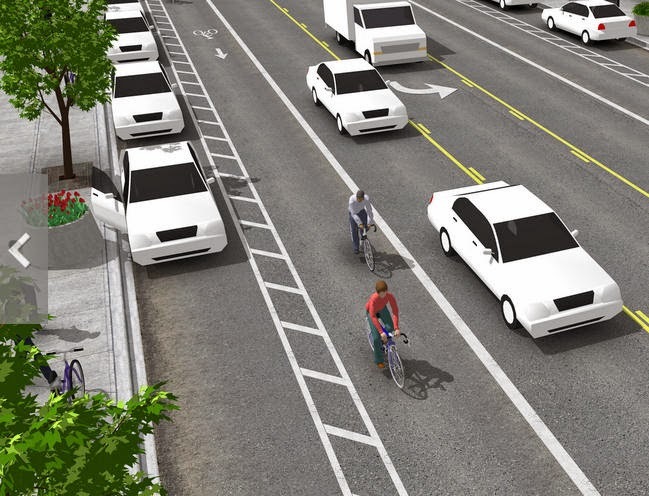 By Karie Simmons -- The city's Traffic Committee has decided to get behind a protected, two-way bike lane that would allow cyclists to travel safely from east to west on Delaware Avenue. 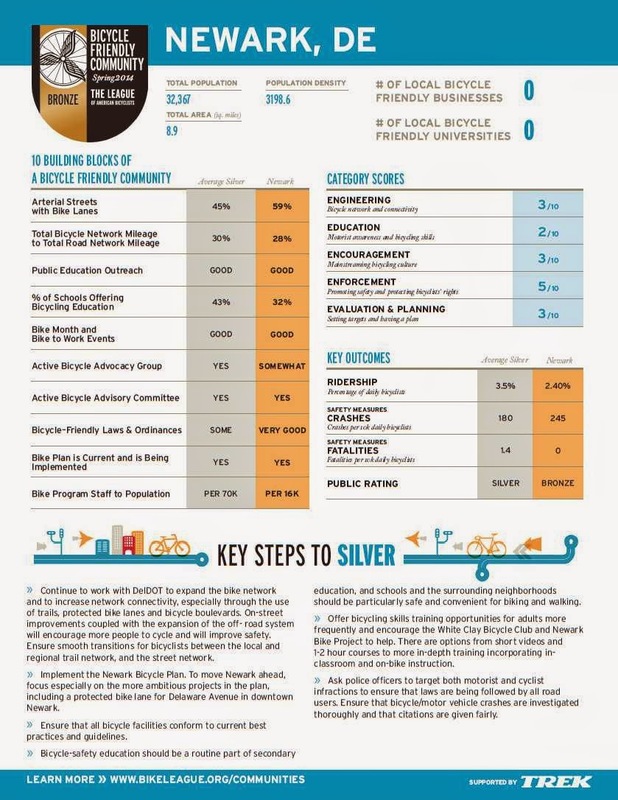 The proposed “cycle track” was included in this year's Newark Bicycle Plan and approved unanimously by council on Feb. 24 as an overall vision and concept for where efforts will be focused over the next several years. One area the plan focuses on is Delaware Avenue, and on Tuesday, Mark Deshon, chair of the Newark Bicycle Committee, explained to members of the Traffic Committee that although Delaware Avenue currently has one bike lane, the one-way street is rampant with wrong-way riding, motorists driving in the bike lanes and cyclists riding on the sidewalks. “In terms of safety, we don't have a good east-to-west route through the city,” he said. A more rural version of a cycletrack is depicted here, using striped buffering and flexible bollards (aka "Duckies") for separation. Given such limited space on Delaware Avenue, the degree of separation remains a question mark. 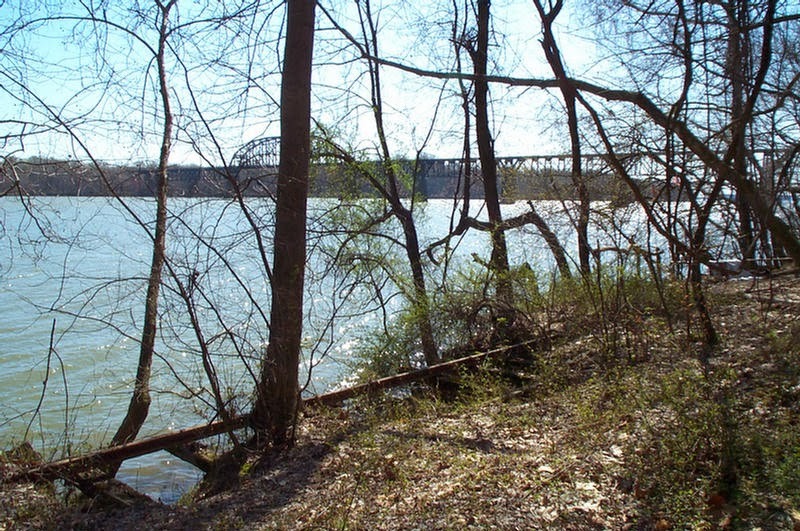 Bike Maryland -- Standing in Perryville along the banks of the Susquehanna River you can see Havre de Grace. Standing in Havre de Grace along the banks of the Susquehanna River, you can see Perryville. From one city hall to the next, by car, it is only 3.4 miles, but the closest bridge for pedestrian or bicycle access makes the trek over 23 miles. To make matters worse, that car ride is along toll roads, so that short car ride costs a disproportionate amount for its length. 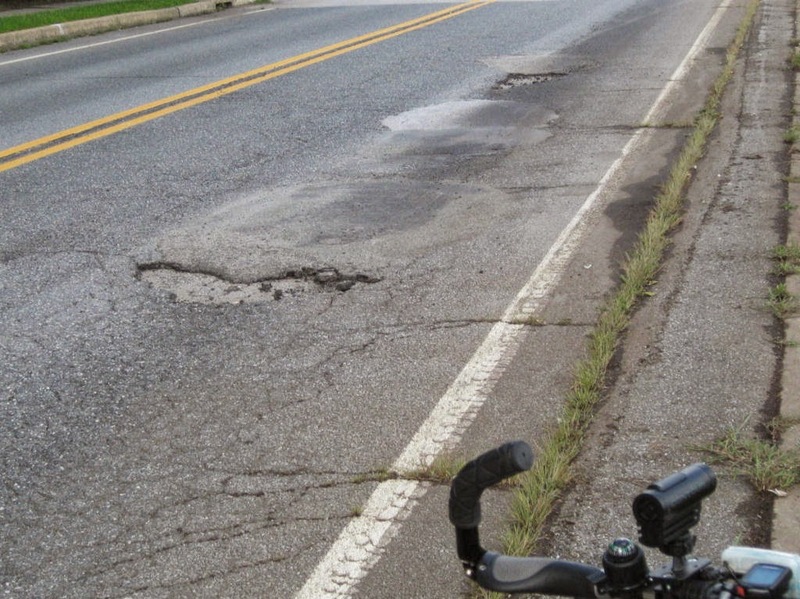 While we understand that tolls are the price you pay to use the roads, there should be a non-toll option that does not degrade the roads as quickly as cars, such as a bicycle. 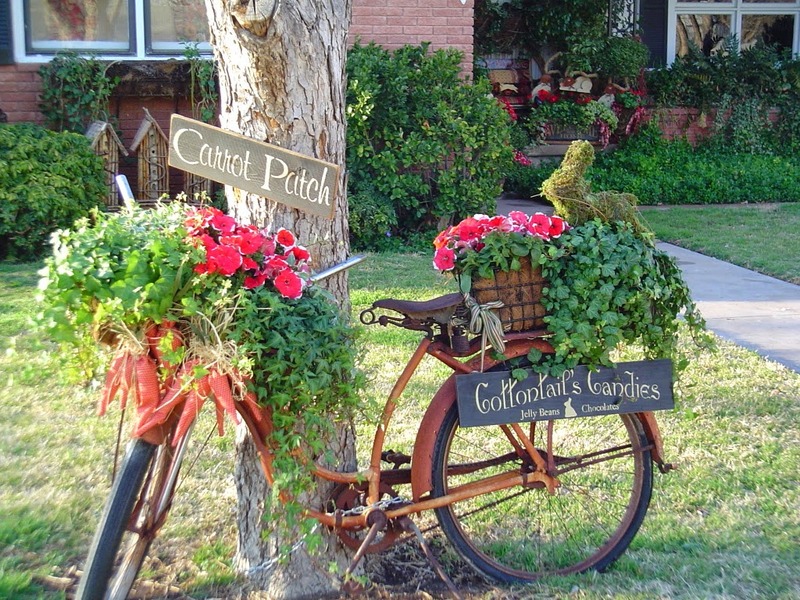 Bicycle access between these two towns will allow them more freedom for shopping, entertainment, and recreation. 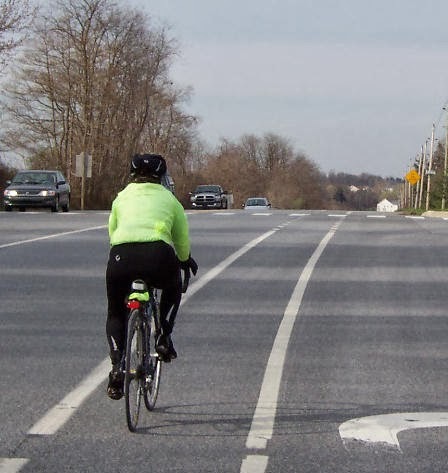 Bicycle advocates are fighting to make sure that with the construction of a new railway bridge over the Susquehanna at those two towns there is bicycle and pedestrian access. 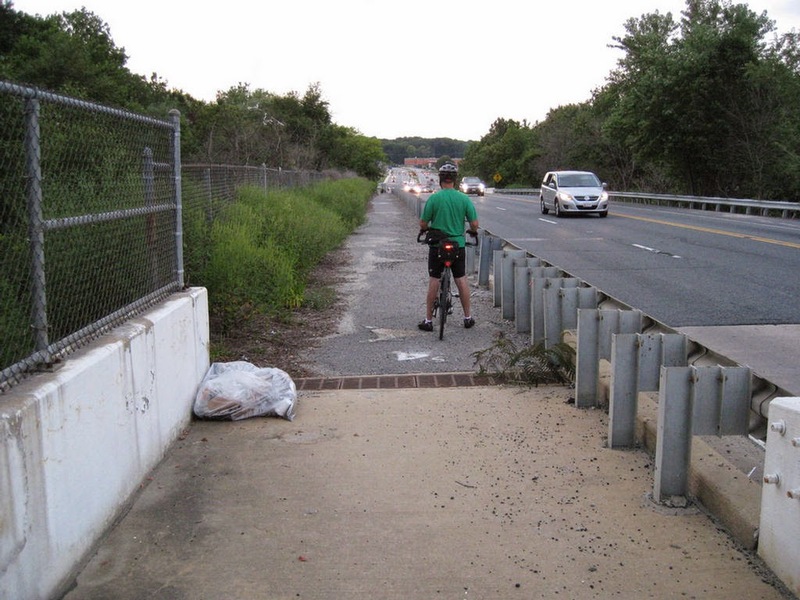 This access is not just important for connecting two towns that are too close together to be artificially separated by tolls, but it is also an important feature on the East Coast Greenway. Currently bicycle tourists have to either call a taxi or bike out of their way to cross the Susquehanna River. 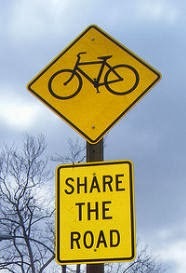 Furthermore, the crossing up river is along the Conowingo Dam, a crossing that makes even experienced cyclists nervous. 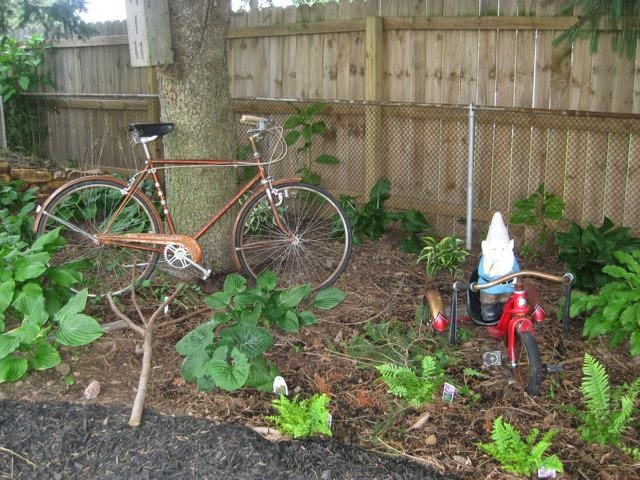 This is a deterrent for both bicycle tourists and local cyclists who use the route. 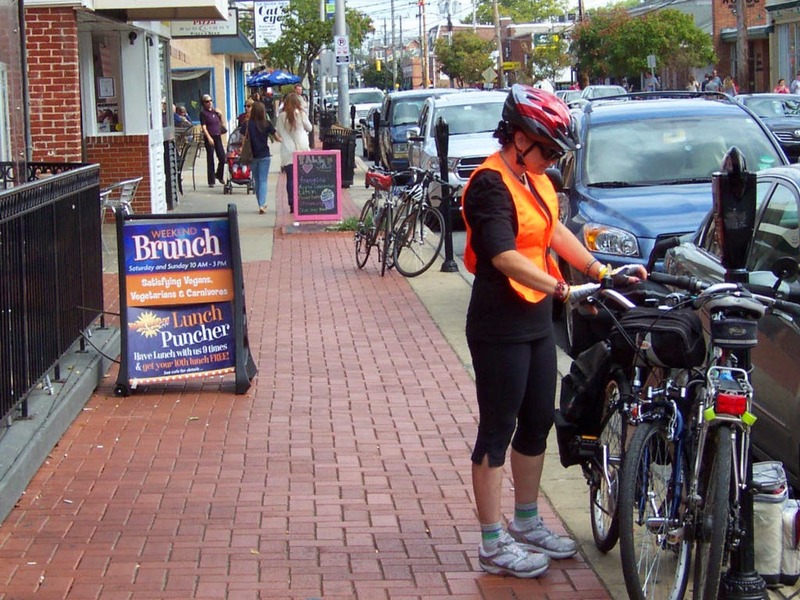 Perryville and Havre de Grace deserve the economic benefit of hungry and tired cyclists stopping over and spending money at their shops and hotels. 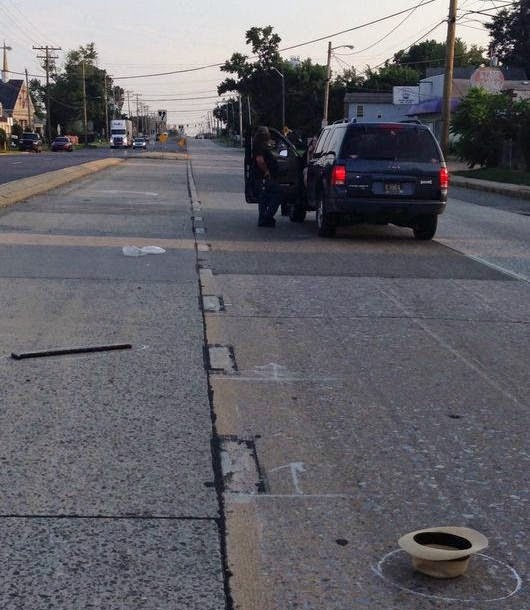 Delaware on-line -- State police say a pedestrian has been killed after being hit by a vehicle Tuuesday evening near New Castle. Poster's note: I am not that familiar with the area, but using Google Earth, there are no visible crosswalks on Route 9 the entire length between I495 and I295. What a horrible tragedy. 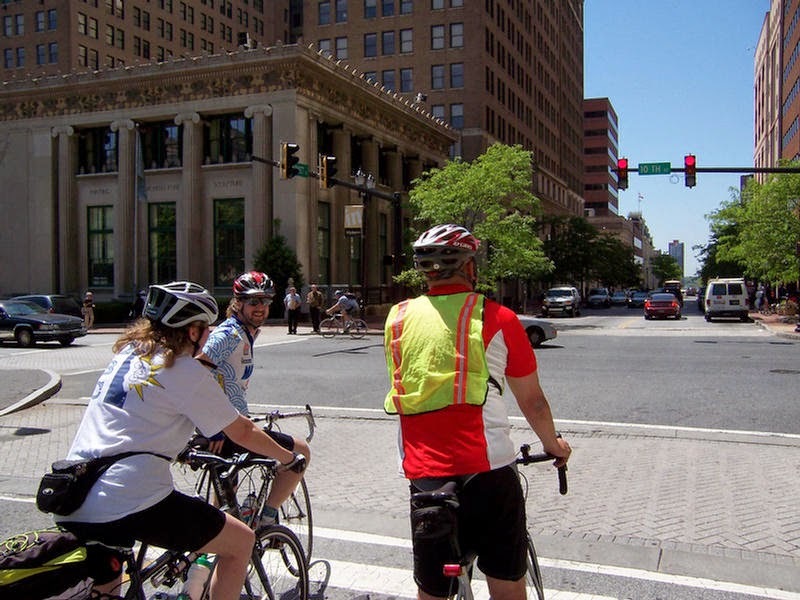 By Steven Vance, Streetsblog -- A new study has found that buffered bike lanes are better than conventional bike lanes when it comes to encouraging bicyclists to ride outside the door zone. 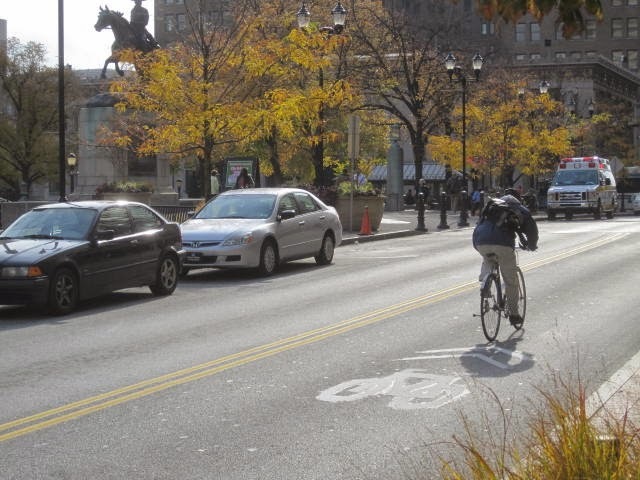 The study draws its conclusion, in part, based on a test done with bike lanes in Chicago. 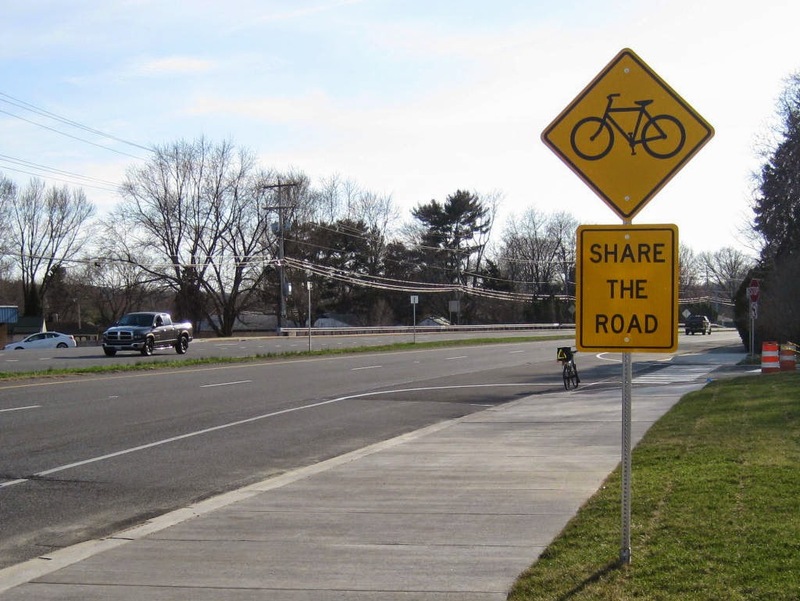 Poster's note: On the recent Tour of Vermont and New Hampshire, the City of Pittsfield, Massachusetts had sharrows placed directly in the door zone along primary streets. 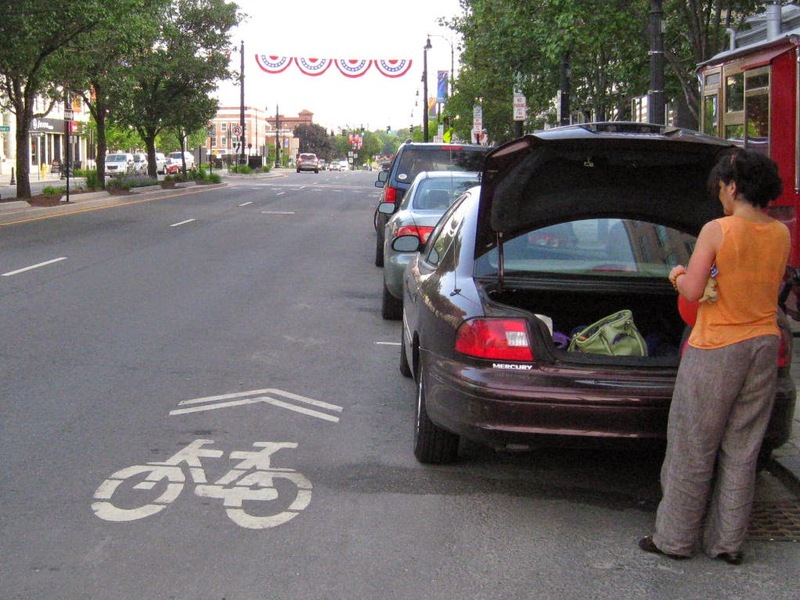 As stated in Wikipedia, the purpose of the sharrow is to "Assist bicyclists with lateral positioning in a shared lane with on-street parallel parking in order to reduce the chance of a bicyclist’s impacting the open door of a parked vehicle", so it is not clear what traffic engineers were thinking when these were installed (photos below). 2 bicyclists caught in the act, riding against traffic. 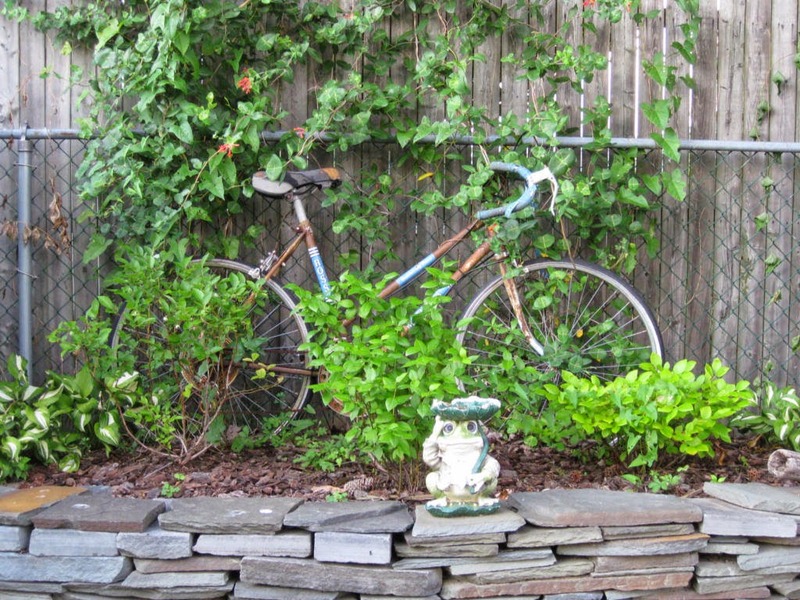 Is it contempt, or the persistence of Bike Salmon? Any cyclist riding within the sharrow footprint here is eventually going to get whacked with a car door. 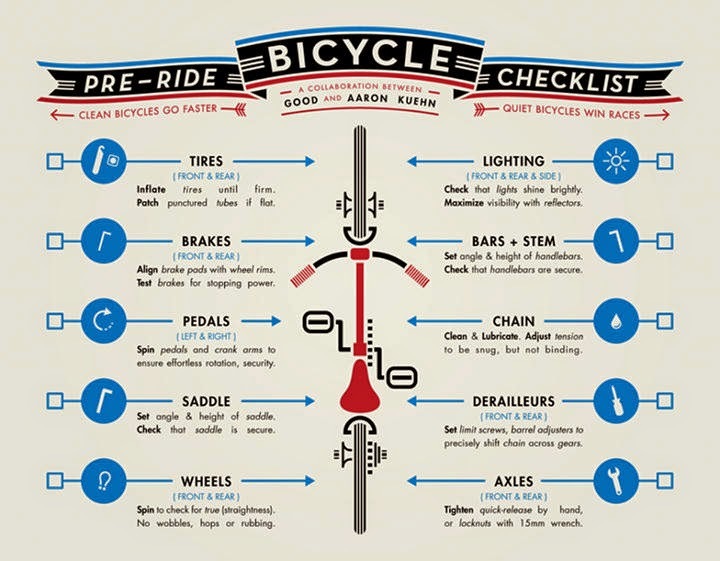 The above video perfectly illustrates the issue, and provides educational tips for motorists. 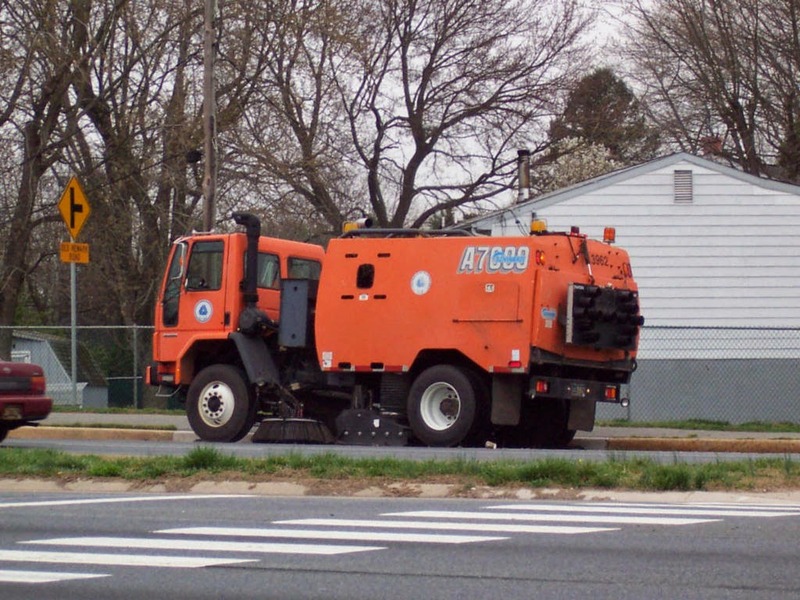 We don't believe DelDOT would ever be silly enough to try this, but as advocates, we must be on our guard at all times. This includes when bike lanes are proposed for streets that include parallel parking. 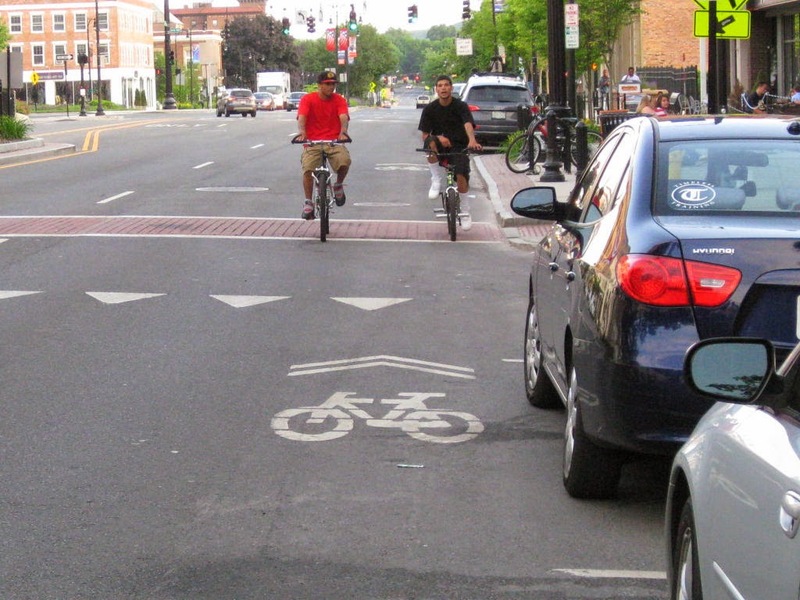 Both Wilmington and Newark followed the guidelines when it comes to sharrow placement. Market Street (above) and Main Street have their sharrows at or near the center of the lanes, well outside the door zone where they belong. With an extraordinary effort, it appears that residents have won the fight to keep South Main Street livable. From NRAP -- In a recent Newark Post article, the Mayor says that WaWa is no longer a likely tenant of the new owners of the Park N Shop shopping center on the corner of Apple Rd. and S. Main St. 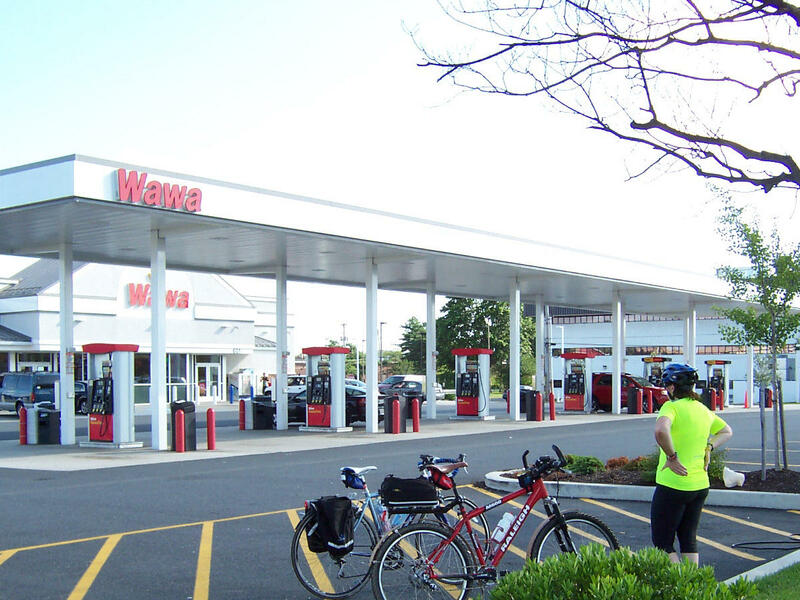 The Park N Shop was thrust into the spotlight in February 2013 when Wawa unveiled plans to build a 4,999-square-foot store and 12 gas pumps in the shopping center. The plans called for the store to be built at the corner of Apple Road and South Main Street, at the site of the vacant M&T Bank building. Concerned about traffic and light pollution, many in the community formed a grassroots campaign and signed petitions to fight against the project. Debate over the Wawa drove the conversation in the city for several months and was a factor in the September resignation of Mayor Vance A Funk III. Visit the all new Newark Residents Alliance Project for full coverage! Related: Is this what we really want for South Main Street? 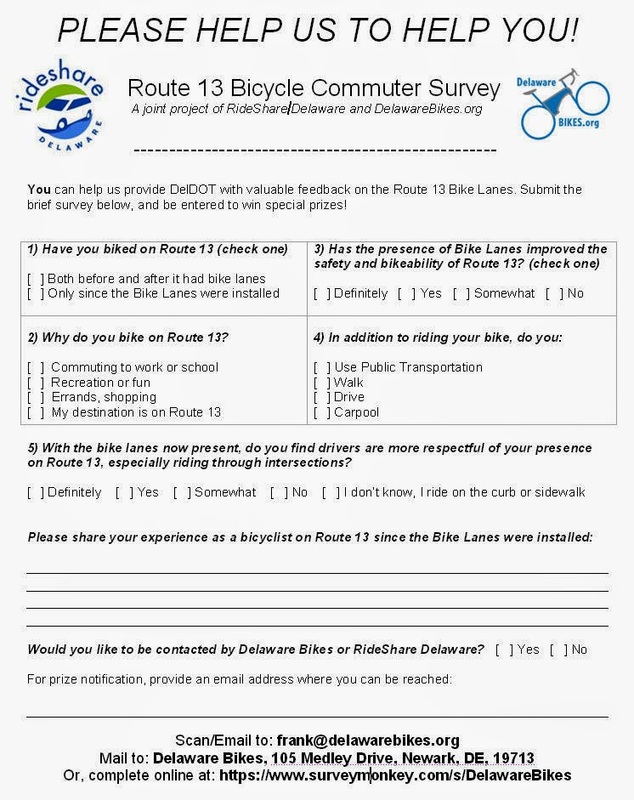 Have you signed in favor of this proposal, that could provide an official on-road bike route between Newark and Wilmington?